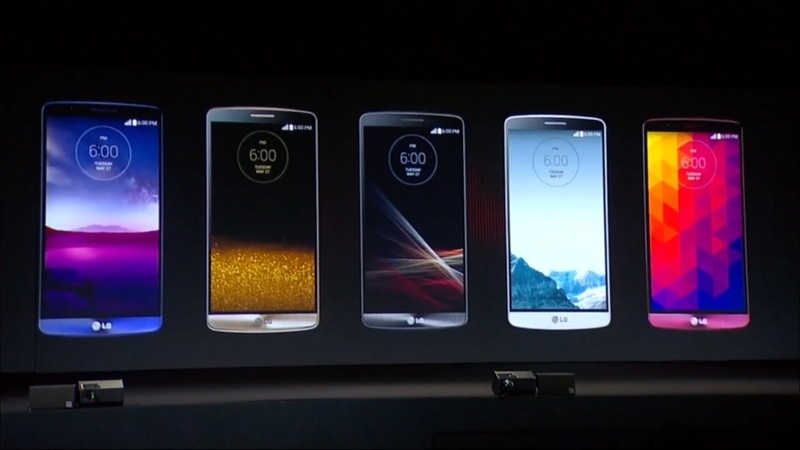 Just moments ago, LG Mobile has officially announced the new G3 flagship Android smartphone. Introducing the G3 with a new concept, called “Simple is the new smart”, the G3 features a clean, minimalist design paired with interesting new technologies, such as a Quad HD display and yes, a laser autofocus system. The G3 is the Korean company’s most sophisticated smartphone to date, but at the same time the company has worked hard to maintain a minimalist and simplistic look and feel to the G3 both in its hardware and the software. Yup, the G3 looks little like the G2 besides the rear buttons, and the software has also been revamped with a UI that emphasis flat graphics. But before that, let’s start with the G3’s design. Featuring a similar design language as the G2, the G3 moves away from the glossy plastic back cover of its predecessor with a stylish curved metallic back cover (no mention yet if it’s plastic or real metal) with a matte finish. The Floating Arc design also sports sides that taper to a slim 8.9mm, giving the G3 a silhouette that resembles the lustworthy HTC One M8. Despite sporting a large 5.5-inch display, LG claims that the G3 is perfectly comfortable to use with one hand due to the fact that the screen itself takes up an amazing 76.4% of the front of the phone – which is achieved by having stunningly thin bezels on all four sides of the display. 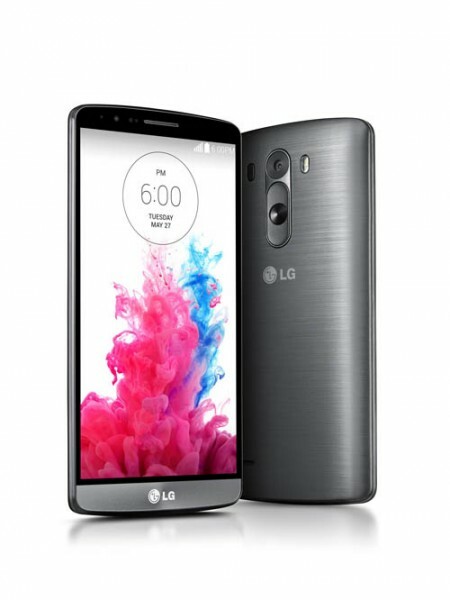 The LG G3 is powered by a Qualcomm Snapdragon 801 2.5GHz quad-core processor, a 5.5-inch Quad HD (2560 x 1440) IPS display and runs on Android 4.4.2. The G3 will be available in two variants, one with 16GB storage and 2GB RAM, and the other with 32GB of storage and 3GB of RAM. Both variants support up to 128GB microSD cards. On the audio front, the LG G3 packs a 1W speaker at the back and a Boost AMP. Even the battery has been tweaked on the G3. The removable 3000mAh battery sounds par for the course for a device of its size, but LG’s engineers have not only applied advanced optimization technologies, but also replaced the metal in the battery cathode with graphite. 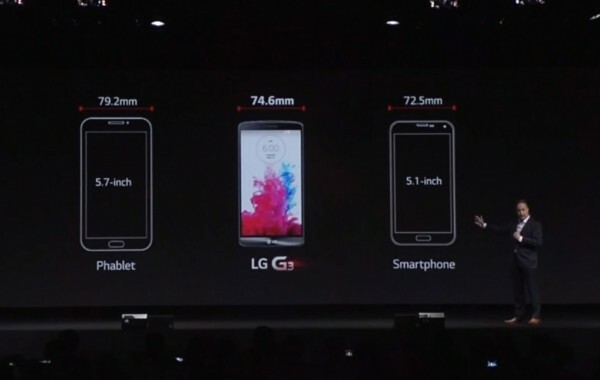 This, according to LG, extends the lifespan of the G3’s battery. And then, there’s the camera. 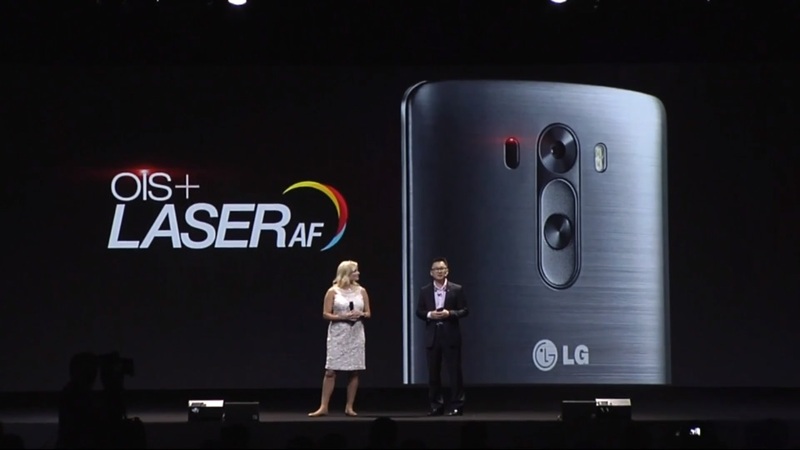 The G2 was widely touted as having one of 2013’s best smartphone cameras among Android smartphones, and LG is not resting on its laurels. The G3 sports a 13MP OIS+ camera sensor, and is assisted by a laser autofocus system – a first among smartphones. 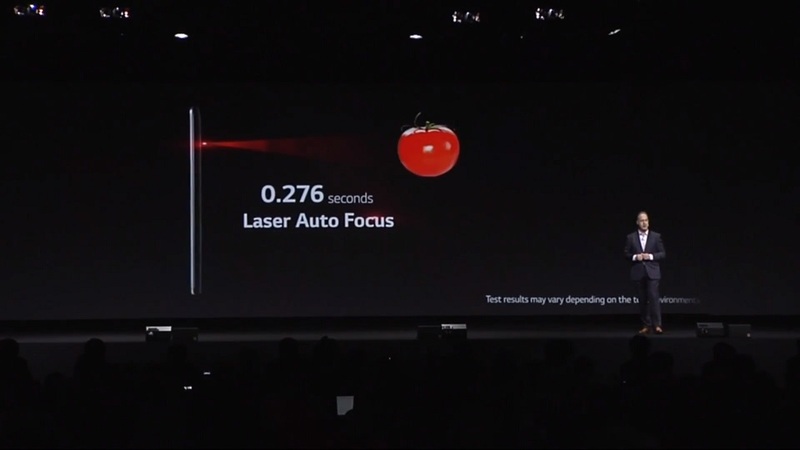 By utilizing laser beams to detect depth to measure the correct focus point, LG claims that the G3 camera only takes 0.276 seconds to lock focus and snap the image. By default, the G3’s camera app focuses and captures an image by one simple tap, making picture-taking on the G3 seemingly blazing fast. On the front, LG has also improved on the front-facing camera on the G3. 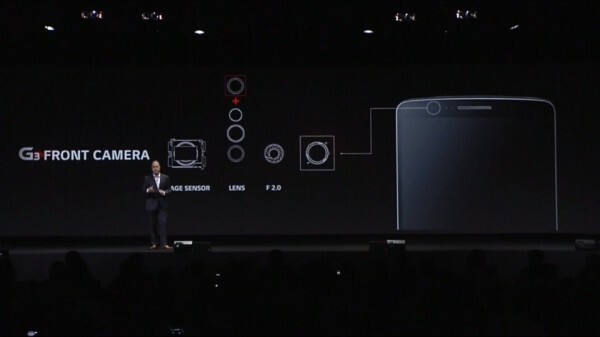 The front facing camera now has a larger 2.1MP sensor, four lenses and a wide f/2.0 aperture. The front facing camera shutter can also be activated by simply clenching a fist on the frame, and the camera app will automatically start a 3-second countdown before capturing the image, making it “superior for selfies”. As for the new UI, LG has completely revamped the UI compared to previous iterations of its software. Icons and animations are all flat, and the typography has been improved to offer better readability. Even the default wallpaper for each G3 differs based on the colour choices available for the G3. In addition, the brilliant Knock Code security feature makes a return here. Debuting first on the G Pro 2 at MWC 2014, Knock Code is one of the most elegant ways of merging security and ease of use when it comes to unlocking a device. Users simply tap the G3’s screen in a preset pattern, and the device automatically unlocks straight to the home screen. 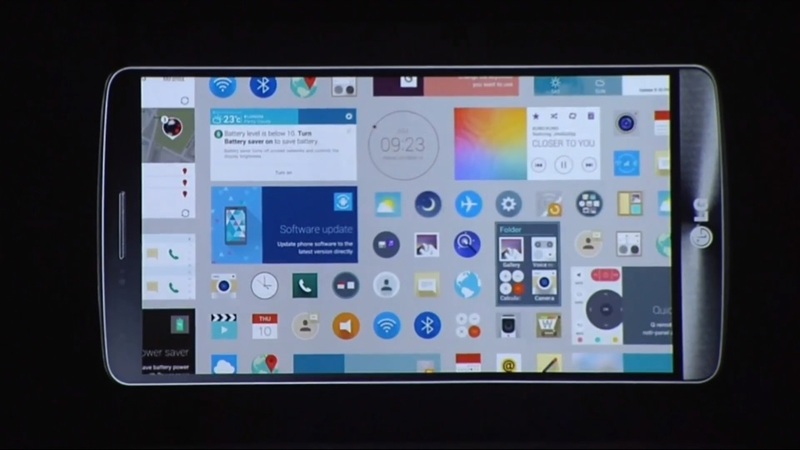 To lock the phone, users need only double tap anywhere on the home screen. A new addition is the Kill Switch, which wipes the device and disables from any future use. Finally, one interesting addition to the G3’s new software is the Smart Keyboard. The keyboard’s algorithm has adaptive technology, which learns as you type for faster input with less mistakes. 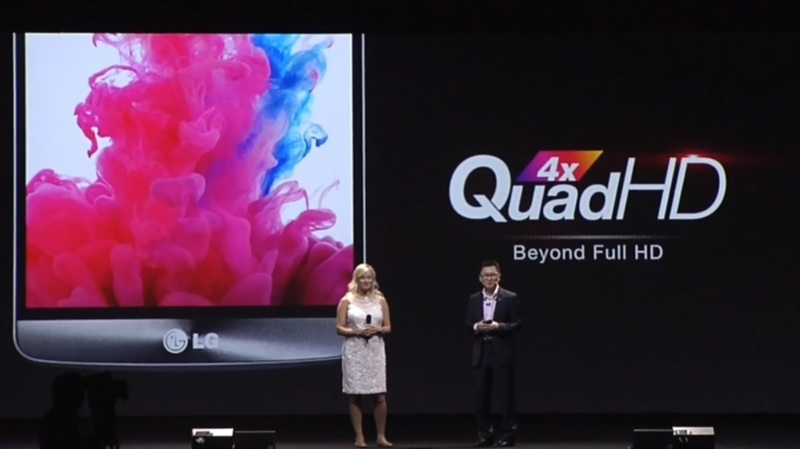 This technology, LG claims, reduces input errors by up to 75%. Even the keyboard’s height can be adjusted. Also, individual keys can be customized with frequently used symbols for even faster input. Another feature that is helpful is the keyboard’s ability to move the cursor simply by long-pressing the space bar and dragging your finger horizontally. 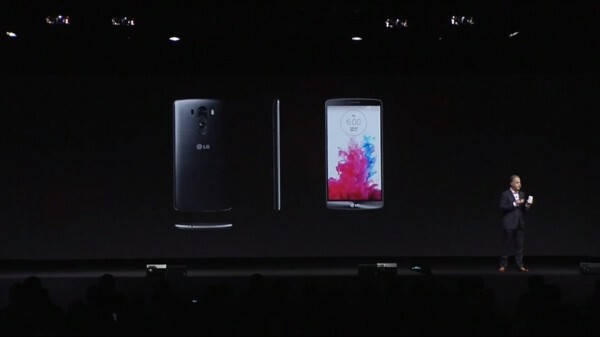 The LG G3 will be available in five colours (Metallic Black, Silk White, Shine Gold, Moon Violet and Burgundy Red) and will be available in its home country starting from today. It will be rolled out worldwide gradually via 170 carriers. Given the way LG has seemingly ignored Malaysia for the G2, Nexus 5 and G Pro 2, however, we don’t expect the G3 to make its way here officially anytime soon – if at all. 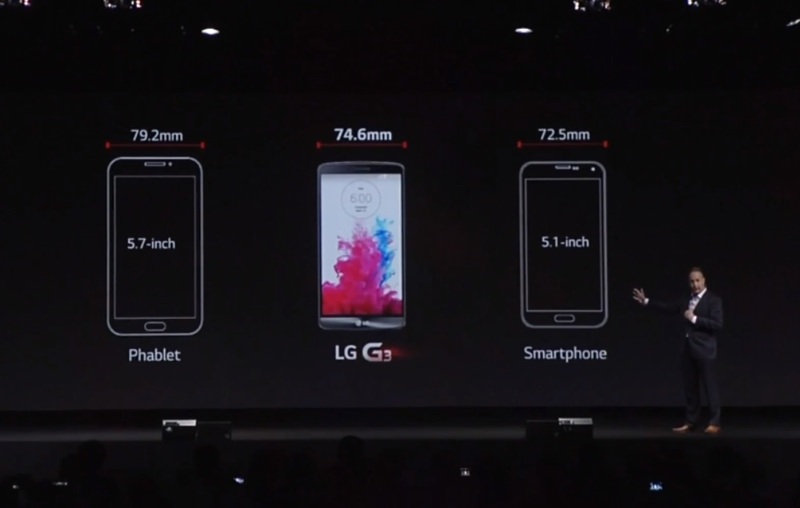 Spec Sheet: How Does the LG G3 Compare Against the Samsung Galaxy S5, HTC One M8, Sony Xperia Z2 and Many More?